Imagine what could be achieved if you plucked a budding entrepreneur from his roots in small-town South Africa, and put him through a business boot camp, complete with a whirlwind trip to the UK, to sign deals with hungry investors? That’s exactly what Micro Enterprise Development organization (MEDO) has done. Five of the eleven small businesses represented on its current programme signed deals or partnerships with stakeholders in the UK (and Europe). And the remaining six created networks with potential partners, with a long-term view for exponential business growth. “We had more successes than we were expecting,” says Judi Sandrock, CEO and founder of MEDO, speaking during group’s return at OR Tambo on May 3. “And I found myself thinking: ‘Wow! If only I’d had this opportunity 25 years ago, when I was just starting out’. These entrepreneurs are awe-struck with how valuable this trip was. And as an organisation, MEDO has stuck it to the nay- sayers who believe there are no black-owned ICT companies in South Africa, and that the UK doesn’t want to do business with South African startups. But we had over 100 applications from black-owned ICT companies. And the UK businesses were absolutely hungry for the opportunity to meet these entrepreneurs,” she says. All the entrepreneurs have come home empowered with new business knowledge, insights and the confidence that comes with knowing their businesses can – and will – thrive. “After the networking events, some of the entrepreneurs admitted to me they think their businesses are better than some of those owned by UK businessmen. But of course they are – and the realisation is that these South African business owners can stand anywhere, on their own. They are world-class businesses,” says Sandrock. To facilitate this initiative, MEDO partnered with British Telecom (BT) Global Services to recruit 18 world-class entrepreneurs to its programme. It included a boot camp session at the University of Stellenbosch’s Business School (USB), where the entrepreneurs were exposed to the Executive Development programme. “Our philosophy is to create an entrepreneurial ecosystem, where different role players come together to create support networks and mentoring needed to uplift entrepreneurs. Here, the MEDO entrepreneurs honed their skills, including their business briefing and presentation, to allow them develop the kind of defined business models that would impress businesses in the UK,” explains DeWet Schoeman, Director: Centre for Applied Entrepreneurship, USB. Armed with their new skills, the MEDO team jetted off to the UK for eight days of intensive trade talks, meetings and networking. This was one of MEDO’s biggest goals in creating this programme – job creation and skills development. “One of the selection criteria for the entrepreneurs is that they want to engage in the formal economy to create more jobs. And we believe the programme has taught them the value of development, both for themselves and for their staff,” says Sandrock. For Dean Thompson, owner of Inferno Films (a corporate and marketing video production company), the trip put his wildest dreams very much within his grasp. “Doing business with global partners was part of my long-term strategy. And this trip totally realigned that strategy. I signed a deal with Jacaranda, the biggest corporate video production company in the UK, to shoot local footage for their clients. It made me realise that, if I can secure a partner in the UK, there’s nothing stopping me finding partners around the world. 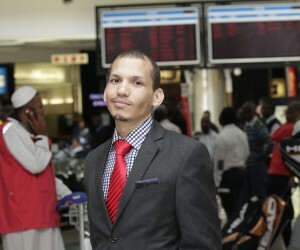 After all, the world is receptive to business in South Africa – they want to get into our market,” he says. 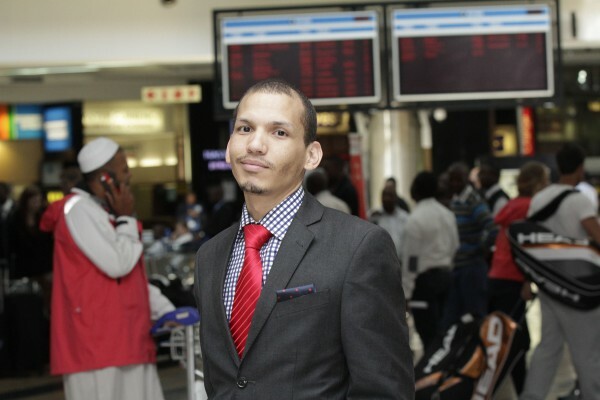 “And it’s exhilarating, says Raphael Mohlala, one half of the team behind Phakamo Holdings, an IT Enterprise Architecture Management and Governance service provider. “MEDO fast-tracked our goal to become partners, and not just users of global IT brands. We signed two deals with Alfresco and Masabi technologies, to become their representatives in South Africa and in Africa. Alfresco has already invited us to a summit in Barcelona later this year, to discuss the impact technology is having in Europe and the US”. The biggest benefit was the holistic experience, the exposure to international business and to the great minds that drive companies such as BT Global Services. “It seldom happens that a budding entrepreneur has the opportunity to be addressed by the CEO of a company like BT Global Services, and to be able to ask him questions,” says Jay Pancham, founder of IT company Harpan Technologies. “I’ll be using everything I learnt to focus and reorganise my business, so that I can see real growth”. For MEDO, the end of the trip doesn’t signal the end of its ties with these entrepreneurs. It is the start of ongoing development and coaching, as it drives these small business owners toward their goals of business growth and success, through regular management skills development and further education.